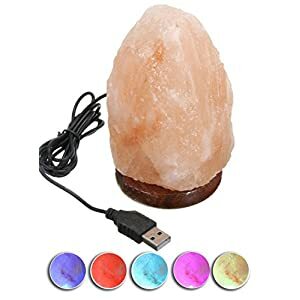 USB NATURAL MULTI COLOR CHANGING SALT LAMP – Each lamp is made by hand carved, so each one is unique. 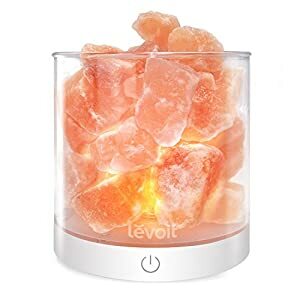 This USB salt lamp is about 4.7 in/12 cm, weight is about 1.5 lbs /700 g. Our salt lamps are imported from Pakistan, choose the good quality crystal rock salt, all handcrafted, not only ensure its unique chemical composition will not be changed, but also the appearance of the product is more natural. 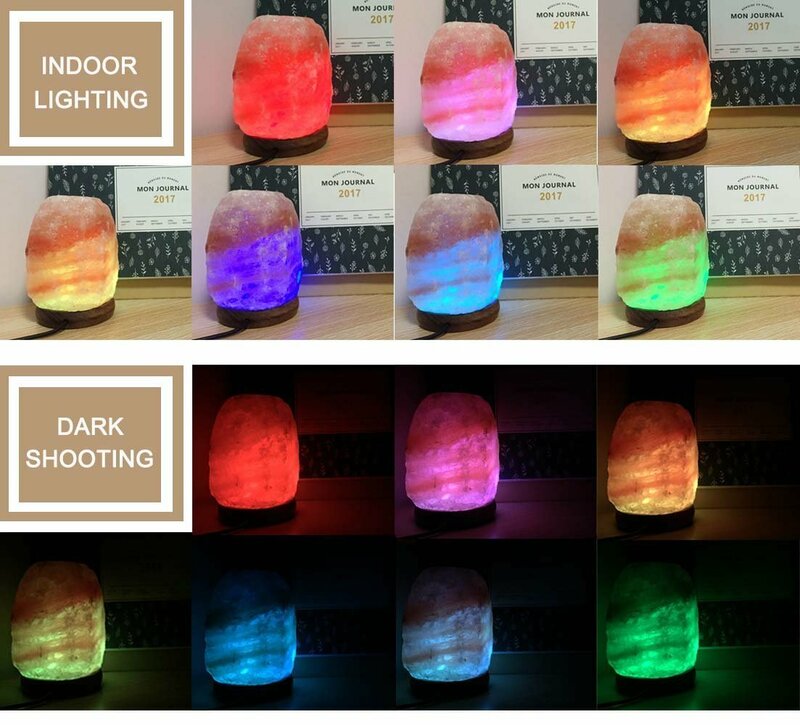 BALL SHAPE MULTI COLOR CHANGING SALT LAMP – Is about 3.1 in/8 cm, weight is about 1.2 lbs /550 g, This salt lamp baby has multi-color changing function, it has LED light inside, no need for you to install, great decoration for home and office, saves space while being stunning, keep your anxiety under control. 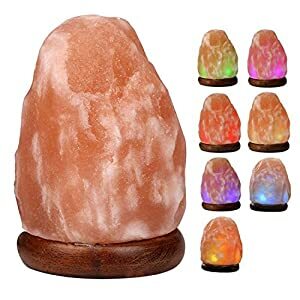 WALL LIGHT SALT LAMP – Irregular shape, lampshade about 4.5 in/ 11.5 cm tall, plug about 3.6 in/ 9.2 cm long, weight is about 7 oz/200 g~10.5 oz/300g;Because every salt lamp is 100% natural and hand carved, each HOMY mini salt lamp can be slightly different in weight, size, color. 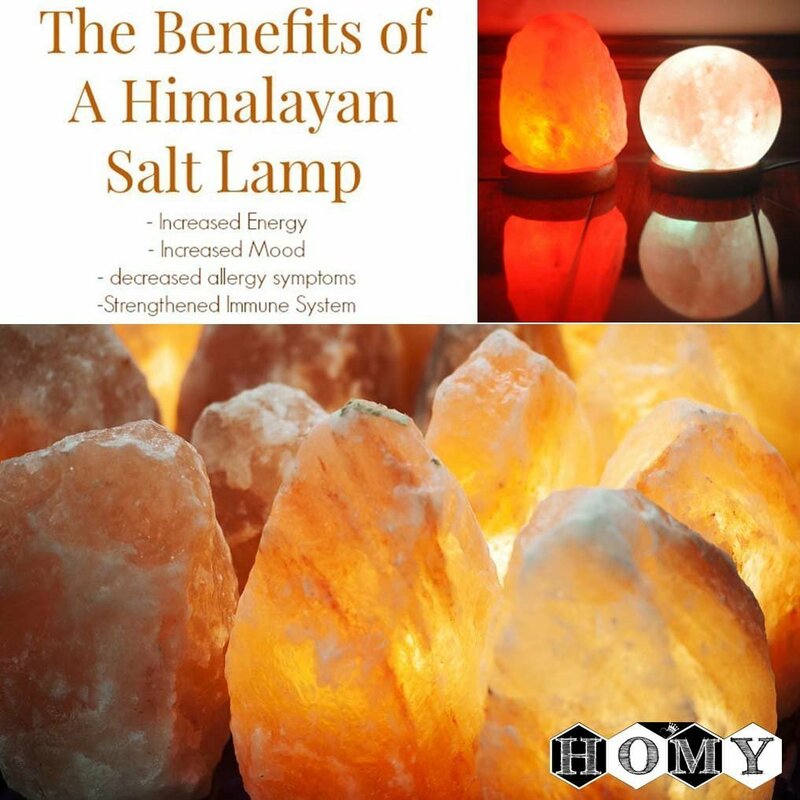 It’s normal phenomenon that there are a little impurities in the salt lamp. Perfectionists please consider this before buying. 1)Use a dry cloth to remove dust on the surface, in order to maintain its good light transmittance; If some dirt can not be removed with a dry cloth,use wet cotton cloth or wet sponge to remove the dirt, do not wash it or soak it in water. 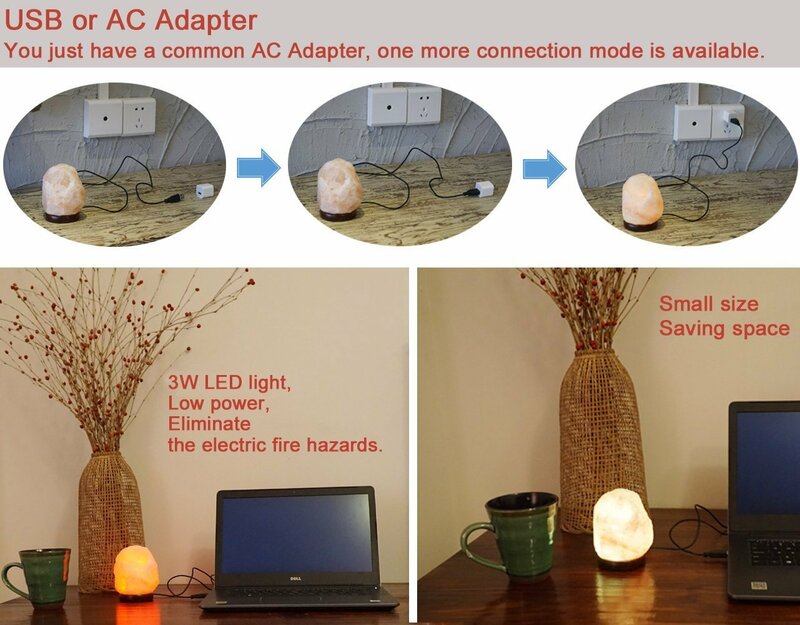 2)Please place the salt lamp in a place without splash of water,do not put it outdoor. 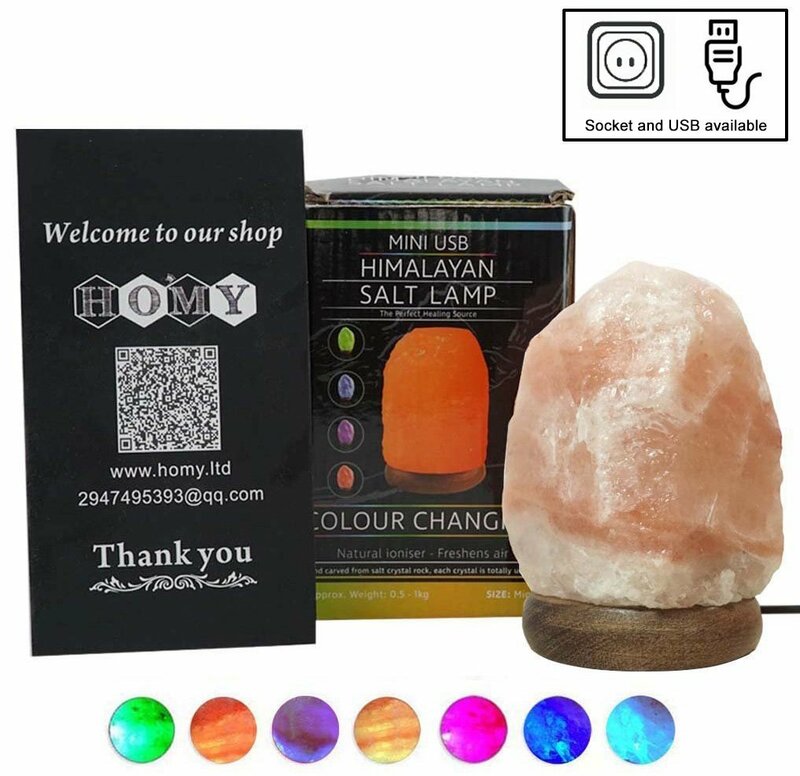 3) If the weather is humid or the lamp is wet accidentally, the salt surface will have moisture condensation, please wipe with a dry cloth,turn on the salt lamp for a few hours, the moisture will disappear. 4) If you do not use the lamp for a long time, please wrap it with plastic bags, cut off from the air. 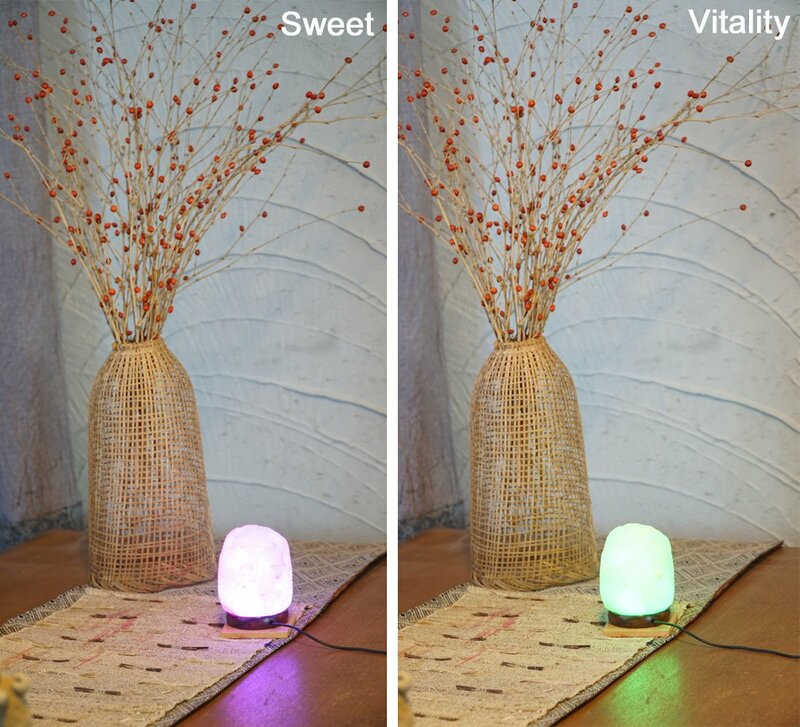 5)We do not suggest you turning off the lamp or it will absorb moisture and cause moisture condensation. 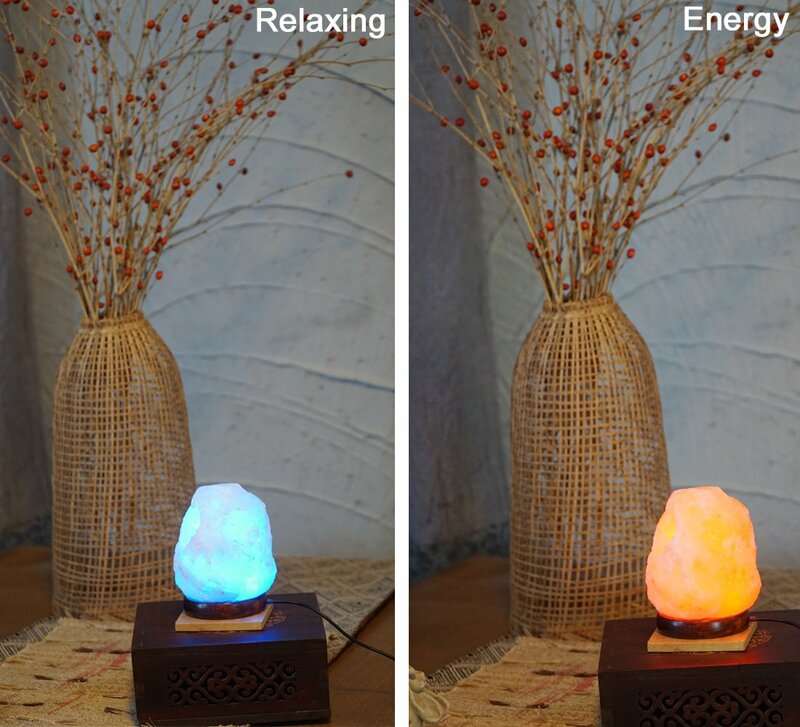 Negative ions purify the air, reducing the effects of: Dust, Bacteria, Pet Dander, Odor, Allergies, Asthma, Sinus, Fatigue and even Colds. May also relieve symptoms of Anxiety and Insomnia. 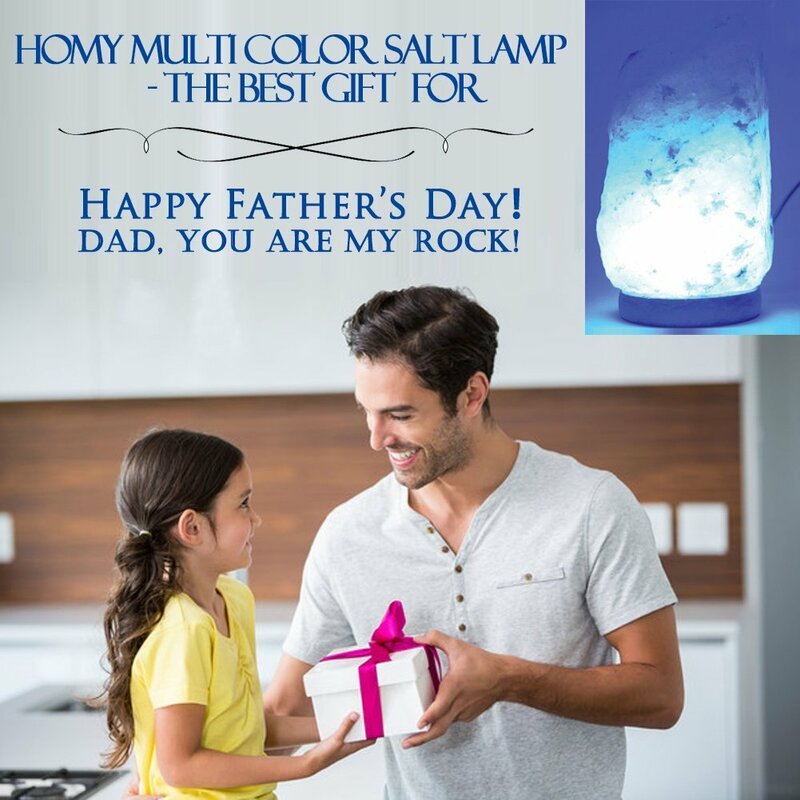 It contains 84 kinds of non-contaminated natural minerals and trace elements. 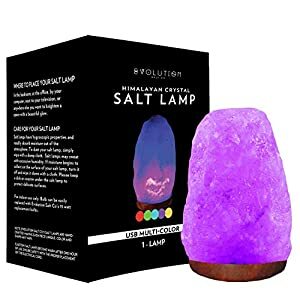 Suitable for people who sit for a long time, frequent use of computers, suffer from allergies, do yoga or meditation very often, elder or weak, smokers, recurrent insomnia.